Coarse woody debris (CWD) has a wide range of ecological and conservation values such as maintaining biodiversity in forest ecosystems. Each forest management method can have a detrimental effect on stand structure and CWD. We analyzed the volume and density of live trees and CWD (snags and downed logs) over a long-term (30 years) selection-logging managed compartment (harvested), and compared these with values obtained from an unlogged compartment (control) in the Iranian Caspian forests. Results showed that the volume and density of live trees and CWD in the harvested area was significantly lower than in the control area, especially large size trees and CWD, very decayed CWD, and rare tree species. The ratio of snags volume to total standing volume (RSS) was significantly higher in the control (7.9%) than in the harvested area (5.2%), and the ratio of downed logs volume to trees volume (RDT) in the control area (6.3%) was significantly higher than in the harvested area (4.6%), while the ratio of downed logs volume to snags volume (RDS) was significantly higher in the harvested area (83.6%) than in the control (74%). Based on the obtained results, we recommend selection cutting forests to be managed based on CWD management plans, including appropriate cutting cycles (15-30 years) and retention of large-diameter (DBH > 75 cm) and cavity trees as a suitable habitat for many wildlife species. Effect of intervention and type of forest management on quality and quantity characteristics of dead wood in managed and reserve forests: a case study. Journal of Forestry Research 23 (3): 413-418. Mineralization rates and factors influencing snag decay in four North American boreal tree species. Canadian Journal of Forest Research 42 (1): 157-166. Effect of management on the amount and characteristics of wood debris in mixed stands of Caspian forest. BioResources 9 (3): 4108-4116. Postfire dynamics of black spruce coarse woody debris in northern boreal forest of Quebec. Canadian Journal of Forest Research 36 (7): 1770-1780. Snag density and utilization by wildlife in the upper Piedmont of South Carolina. In: Proceedings of the Symposium “Snag Habitat Management”. Flagstaff (AZ, USA) 7-9 Jun 1983. General Technical Report RM-99, Rocky Mountain Forest and Range Experiment Station, USDA Forest Service, Fort Collins, CO, USA, pp. 107-110. Site and stand effects on coarse woody debris in montane mixed forests of Eastern Italian Alps. Forest Ecology and Management 260 (9): 1592-1598. Snag longevity and decay class development in a recent Jack Pine clearcut in Michigan. Northern Journal of Applied Forestry 27 (4): 125-131. Differential short-term response of functional groups to a change in forest management in a temperate forest. Forest Ecology and Management 376: 256-264. Temporal dynamics of snags and development of snag habitats in wet spruce-fir stands in east-central British Columbia. Forest Ecology and Management 255 (10): 3613-3620. Snag dynamics in a chronosequence of 26 wildfires on the east slope of the Cascade Range in Washington State, USA. International Journal of Wildland Fire 9 (4): 223-234. Effect of habitat complexity on richness, abundance and distributional pattern of forest birds. Environmental Management 50: 296-303. Effects of logged and unlogged forest patches on avifaunal diversity. Environmental Management 51 (3): 750-758. Importance of residual trees to birds in regenerating pine plantations. iForest 5: 108-112. Conserving biodiversity in managed forests. BioScience 41 (6): 382-392. Cavity trees, snags, and selection cutting: a northern hardwood case study. Northern Journal of Applied Forestry 24 (3): 192-196. Tree rings used to assess time since death of deadwood of different decay classes in beech and silver fir forests in the central Apennines (Molise, Italy). Canadian Journal of Forest Research 38 (4): 821-833. Long-term re-use of tree roosts by European forest bats. Forest Ecology and Management 258 (7): 1301-1306. The importance of snags to Pine Marten habitat in the Northern Sierra Nevada. In: Proceedings of the Symposium “Snag Habitat Management”. Flagstaff (AZ, USA) 7-9 Jun 1983. General Technical Report RM-99, Rocky Mountain Forest and Range Experiment Station, USDA Forest Service, Fort Collins, CO, USA, pp. 114-116. Carbon stocks in managed and unmanaged old-growth western red cedar and western hemlock stands of Canada’s inland temperate rainforests. Forest Ecology and Management 297: 108-119. Effects of single-tree selection cutting upon snag and natural cavity characteristics in Connecticut. Transactions of the Northeast Section of the Wildlife Society 37: 50-57. Snag densities in old-growth and second-growth Appalachian forests. Journal of Wildlife Management 47 (2): 376-382. The long-term effect of timber stand improvement on snag and cavity densities in the Central Appalachians. In: Proceedings of the Symposium “Snag Habitat Management”. Flagstaff (AZ, USA) 7-9 Jun 1983. General Technical Report RM-99, Rocky Mountain Forest and Range Experiment Station, USDA Forest Service, Fort Collins, CO, USA, pp. 40-44. Long-term effects of logging intensity on structures, birds, saproxylic beetles and wood-inhabiting fungi in stands of European beech Fagus sylvatica L. Forest Ecology and Management 242: 297-305. Decay dynamic of coarse and fine woody debris of a beech (Fagus sylvatica L.) forest in Central Germany. European Journal of Forest Research 128 (3): 287-296. Densities of large living and dead trees in old-growth temperate and boreal forests. Forest Ecology and Management 161 (1-3): 189-204. Snag abundance for primary cavity nesting birds on nonfederal forest lands in Oregon and Washington. Wildlife Society Bulletin 22 (4): 607-620. Effects of forest management on the amount of deadwood in Mediterranean oak ecosystems. Annals of Forest Science 71 (7): 791-800. Effect of three partial cutting practices on stand structure and growth of residual black spruce trees in north-eastern Quebec. Forestry 88 (4): 471-483. Influence of forest structure on habitat use by American marten in an industrial forest. Forest Ecology and Management 179 (1-3): 145-156. Comparison of snag densities among regeneration treatments in mixed pine-hardwood forests. Canadian Journal of Forest Research 43 (7): 619-626. Decaying wood in Pacific Northwest Forests: concepts and tools for habitat management. Oregon State University Press, Corvallis, OR, USA, pp. 580-623. Assessing and modeling standing deadwood attributes under alternative silvicultural regimes in the Acadian forest region of Maine, USA. Canadian Journal of Forest Research 42: 1873-1883. Characteristics of coarse woody debris in successional stages of natural beech (Fagus orientalis) forests of Northern Iran. Journal of Forest Science 56 (1): 7-17. Coarse and fine woody debris in mature Oriental Beech. Natural Areas Journal 33 (3): 248-255. 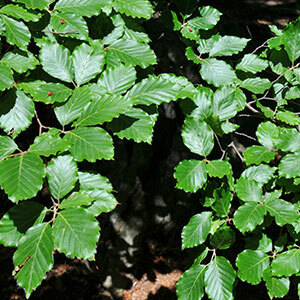 Response of oriental beech (Fagus orientalis Lipsky) seedlings to canopy gap size. Forestry 78 (4): 443-450. Effects of snags on the species diversity and frequency of tree natural regeneration in natural forest ecosystems of Guilan. Iranian Journal of Plant Researches 26 (3): 267-280. Forest management and snag characteristics in Northern Iran lowland forests. Journal of Forest Science 60 (10): 431-441. Snag density varies with intensity of timber harvest and human access. Forest Ecology and Management 255 (7): 2085-2093. Old-growth attributes in a network of Apennines (Italy) beech forests: disentangling the role of past human interferences and biogeoclimate. Plant Biosystems 146 (1): 153-166. Quantity and decay stages of coarse woody debris in old-growth subalpine spruce forests of the western Carpathians. Poland. Canadian Journal of Forest Research 36 (10): 2614-2622.